This dataset contains poverty estimates at school district level for population of 5 to 17 years old based on US Census Bureau program, Small Area Income and Poverty Estimates (SAIPE). The information regarding counties and states where these schools are located is also available in the dataset. SAIPE program estimates, for states, counties, and school districts in the United States combine data from administrative records, postcensal population estimates, and the decennial census with direct estimates from the American Community Survey to provide consistent and reliable single-year estimates. The Census Bureau and other Federal agencies created the SAIPE program to provide annual income and poverty statistics for states, counties, and school districts in the United States. The SAIPE program produces yearly poverty estimates for the total population (all ages) and by selected characteristics for counties and states. 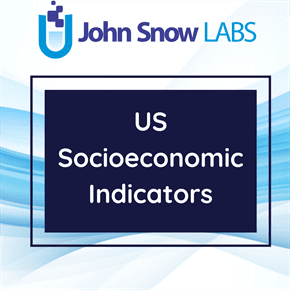 The main objective of this program is to provide updated estimates of income and poverty statistics for the administration of federal programs and the allocation of federal funds to local jurisdictions. Estimates for 2016 were released in November 2017. These estimates include the number of children under age 5 in poverty (for states only), the number of related-children aged 5 to 17 in families in poverty, the number of children under age 18 in poverty, and median household income. Due to the comprehensive geographic coverage and one year focus, SAIPE data can be used to analyze geographic variation in poverty and income, as well as changes over time. There are states where districts may overlap: Arizona, California, Connecticut, Georgia, Illinois, Kentucky, Maine, Massachusetts, Montana, New Hampshire, New Jersey, New York, Oregon, Rhode Island, South Carolina, Tennessee, Texas, Vermont, and Wisconsin.